Welcome to Skulls of Wrath. 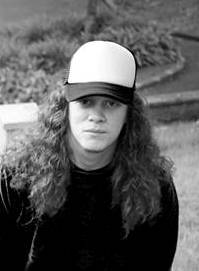 In todays Audio Segment I have my interview with Dean, from Dunedin Death Metal band Deathcall. It was a bit of a odd situation, as when I initially called Dean for an interview it was over a month ago- prior to the new album -or even details- being released, and even before their performance at Satanfest 2017 in Christchurch. Deathcall recently released a brand new full length album "Eternal Darkness", available on all good music services. The album is somewhat of an Old-School-Death-Metal-inspired gem. The recording quality is top notch and really lets the band show off their chops. It's definitely a record to check out if you're a death metal / old school death metal or even NZ metal fan! Welcome to Skulls of Wrath Podcast Show Installment #2. The main focus of this episode is my interview with Dean, from Dunedin Death Metal band Deathcall. 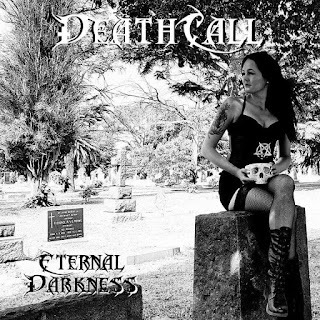 Deathcall recently released a brand new full length album "Eternal Darkness", available on all good music services. 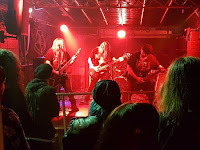 https://www.facebook.com/events/737554553110686/ As well as at Strike of the Beast 4 during February 2018 in Wellington; https://www.facebook.com/events/166223933962223 Elsewhere in the show, I have a wee pseudo-rant regarding the upcoming Starwars movie, wherein- under the assumption that this movie will be answering a few questions raised by the various hordes of youtube videos, I draw my line in the sand regarding the lineage of one of the female lead characters, Rey. Welcome to the Skulls of Wrath Podcast show. As a part of the first show as "Skulls of Wrath", I present my chat with vocalist, Jesse, from His Masters Voice- The Devils Blues an Auckland (New Zealand) based Bluesy Hard rock band. I've found myself becoming quite a fan of the band's most recent E.P, "Woman". It's taken a little more time than I had anticipated in getting back to this point, but here we are. A rant (for lack of a better word) about why the name change, from Heavy Metal Wanaka to SKULLS OF WRATH. 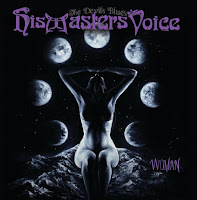 (tl;dr- just cos.)A special "E.P of the week" featuring His Masters Voice- The Devil's Blues.https://www.facebook.com/thedevilsblues/http://www.thedevilsmerch.com/Listen to the excellent new E.P "Woman", here: https://hismastersvoice.bandcamp.com/album/womanOur new News segment.This time just covering NZ albums releases & tours etc.A quick look into the use of podcasts (i.e. listenership) thanks to a Spotify insights article recently released. Thanks in advance for listening / looking at this. Micheal Keene (The Faceless) discusses new album months before release. Prior to the illustrious "Skulls of Wrath", I ran "Heavy Metal Wanaka" and through that podcast I had the opportunity to speak with Micheal Keene from The Faceless in about April 2017, talking about their (ill-fated) upcoming NZ/OZ tour. During that interview, progress of the then untitled new album was discussed, and as we are now at the point when the album is actually being released today, I thought it would be interesting to revisit that discussion.